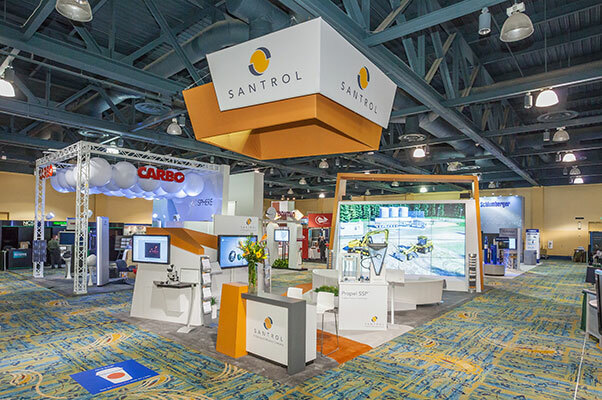 As a leading supplier to the oil and gas industry, Santrol, a Fairmount Minerals company, sharply focuses on maximizing their expertise, imagination and knowledge to deliver game-changing products to the market. 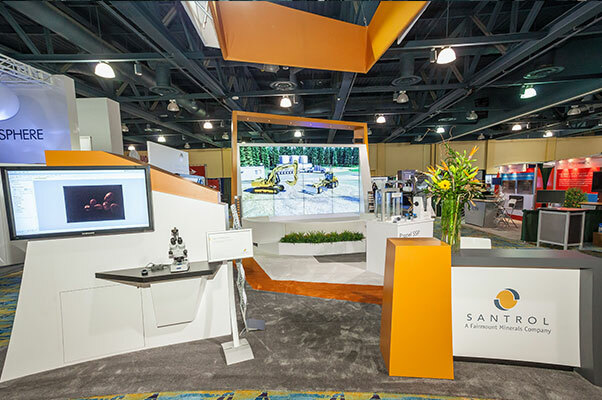 It is with this exacting creative imagination and precision that Santrol approached 2020 Exhibits to design and execute their powerful and dynamic SPE Hydraulic Fracturing Conference (SPE) exhibit experience. SPE is the place to see and be seen. 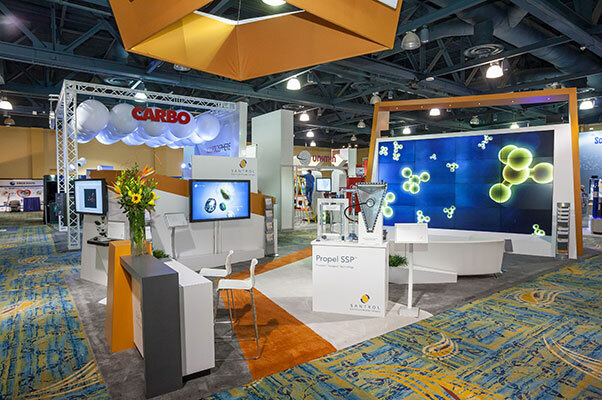 As the industry’s premier event for hydraulic technology, SPE set the ideal stage for Santrol’s launch and introduction of Propel SSP™—THE game-changing proppant transport technology. Working from the agency’s established “Go Farther” campaign, the design team at 2020 Exhibits infused the exhibit environment with this same sense of adventure and daring found in the Wright Brother’s spirit of innovation and determination in creating their “flying machine.” It is from this creative idea that the exhibit environment took flight. 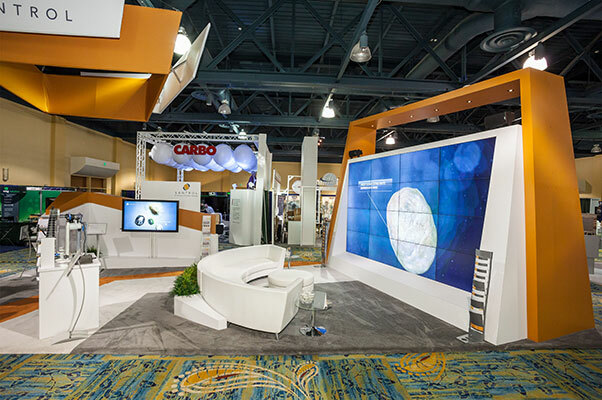 Clean and modern, with smooth lines and an inspired look and feel serving as key drivers for this 800 square-foot exhibit space. 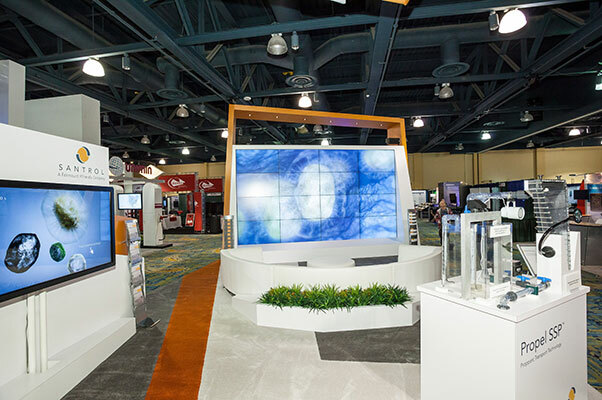 Engaging interactive learning areas with 65″ touch screen monitors and clean, crisp imagery were a soothing backdrop. 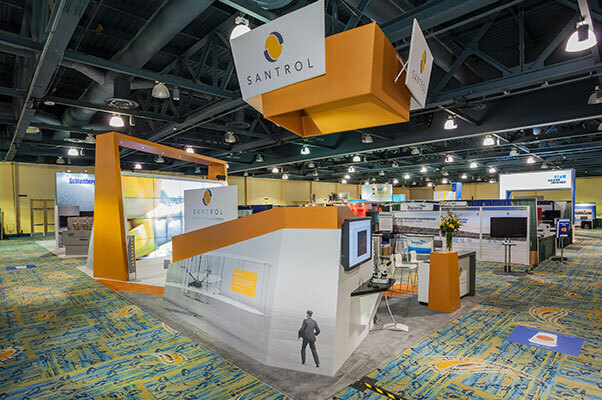 A 45-degree arch brought attention skyward, to Santrol’s rich signature color, which stretched the width of the booth, creating a high-definition visual landscape, leading the eye to the branded hanging signage above. Focusing on strong lines, inventive shapes, and sharp angles, the exhibit was unlike any other. The semi-enclosed floor plans gave way to open, airy environment. 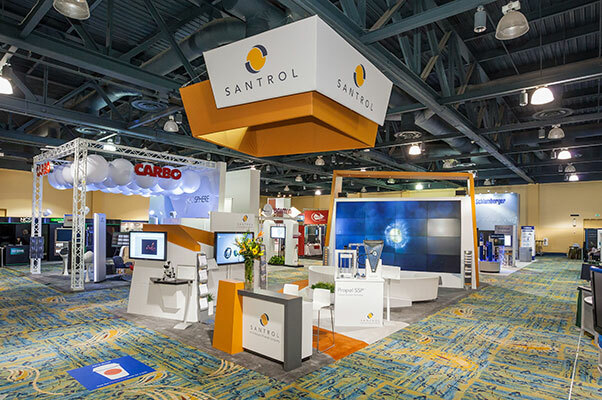 While each of these vignette images offered many a WOW impression, the space maintained an unmistakable consistency that branded each space as Santrol.